Impoverished art history student Lara Rawlinson thinks she has the perfect summer all mapped out. She is spending the holidays in Cornwall, working for the dazzling film star Jago Dunlop. But as Jago swans around film-sets and throws lavish parties, Lara is left entertaining his young son Alfie. Then one day, sunbathing on the beach, Lara is distracted by a brilliant surfer showing off in the waves. Inspired, she decides to take a surfing lesson and catches the eye of instructors Ed and Ollie. But which surfer will capture her heart ­ smooth-talking Ollie or kind-hearted Ed? And why are the pair at loggerheads one minute and the best of friends the next? 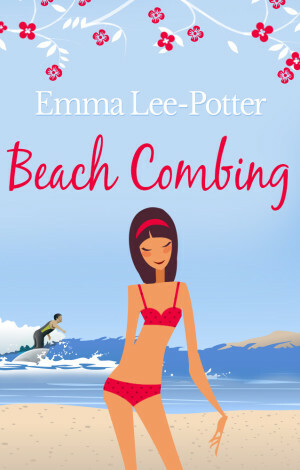 Beach Combing is a sparkling romantic novella that mixes sun, surfing and an entrancing Cornish seaside setting to create a summer read that is sweet, funny and heart-warming. It is perfect for fans of Sophie Kinsella, Jane Green and Jilly Cooper – and for anyone who has ever admired a surf instructor from their deckchair.